All of the Linux-based distributions share common code – the Linux Kernel itself, but many different methods of software distribution to the end users appeared. Some of them tend to provide a stable environment while others tend to provide the very latest software available all the time. Linux-based distributions that are focused on stability achieve it by freezing the software as much as possible. 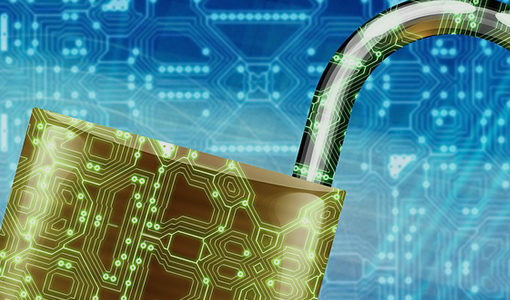 An updated version of some software will be distributed to end users only in critical situations. Most of the time those are security updates and bug fixes but for sure no new features are being added until the end of life for that release is reached. In short, if it is not broken don’t fix it. There are Linux distributions that tend to offer the latest of everything. “Latest must be greatest” is in their genes. Usually, the term rolling distribution is used as a description for these distros. It is very common to receive an update every hour or two. Although this looks like an awesome concept, in practice it is shown to bring some sort of instability with it and in some cases, even breaking the system. There are pros and cons in both. Stable distributions prefer safety rather than features. This is important if you are working on a product that must be running 24/7 and must be error-free. They are often used for servers, data centers, and home users. Developers choose this type of distribution when they need to provide long-term support for the product or if the developing of the product requires an extended amount of time, like 5 or more years. For programmers, each of their programs relies on features offered by some other program. Those are called dependencies. A stable environment can guarantee that no bugs will appear overnight due to changes in some of the dependencies. In other words, if there is a bug, don’t waste time trying to find it somewhere else rather than in your own code. This saves a lot of time and frustration. The cons of the stable environment is that most of the time they are lacking all the cool new features. Sometimes this forces developers to utilize a harder route to achieve the desired point and nothing else. But sometimes this means that end product will run slower in production due to missing optimizations in some of the dependencies, or it will be less secure due to unpatched exploits etc. Rolling Distributions prefer and lean towards new features and bleeding-edge software as compared to stable ones. Those are preferred among programmers and developers working on continuous integration. For example, if a program is tightly coupled with many dependencies. Being informed of every change in your dependencies forces developers to resolve minor conflicts on a daily basis. This opens an opportunity to immediately inform third parties that they are breaking your code. Sometimes it is much easier to release a fix on their side instead in your own. Asking them to undo all the patches released in the last few years because just now you are aware of having a problem with them is a no-go. Simply, they won’t accept the undo request, so everything must be fixed on your side. Also, you have a chance to develop your product with the latest and greatest tools available at the time. This can improve the performance, reduce the cost, can introduce a new and easier way of doing things (new API) etc. It’s worth noting that constantly throwing updates can break things. Most of the time it is about not simultaneously updating to a new release when needed. Some apps are intended to work with the exact version of another app so breaking this creates undesired behavior. In this case, both apps must be updated at the same time which is not the case in a rolling release model. Now, to the main part, choosing the best Linux distro for you. This is an overview and comparison of the best Linux distros for programming. Ubuntu is the most popular Linux Distribution among all of them. It is used by programmers and most of the home users too. There is one major release every two years. This is called an LTS (Long Term Support) release. Those are stable thus receiving only bug fixes and security updates in next 5 years. As the release model prefers stability its underlying layers are mostly stable (unchanged) during this 5 years period. The latest LTS release as of writing is Ubuntu 18.04 LTS. There is one non-LTS release every 6 months supported for a period of 9 months. Those releases are not considered as stable. Big and significant changes can occur in every release. Sometimes those releases are caring packages that break dependencies with a previous release. It is like a playground for merging software and continuously searching for incompatibilities in a desire to provide the best fit solution for the next LTS release. Developing software in this kind of unpredictable environment is not clever. But in real life, it is not so frightening. Even non-LTS releases offer a crash-prone environment. Many home users are using them as a daily driver with no issues at all. They see a benefit from having more recent software than what is available in the latest LTS release for example. As you can see it is a mix of everything. You can have 5 years or stability, or stability for 9 months depending on what fits the best. Even mixing packages is possible but not recommended. A user of an LTS release can obtain a newer version of the same software from a more recent non-LTS release. This is handy as a one-time workaround but it is like a tempered bomb waiting to break the system. Pooling recent packages will continue until some incompatibility occurs. It is better to switch to a non-LTS version instead. It is worth mentioning that Ubuntu is the place where developers and home users meat each other. Therefore, Ubuntu is the starting point for a company offering a product or a service on a Linux-based operating system. Here they find an environment that is stable and familiar to the developers but also many target users. In addition, it is best to develop the software in the native environment as the product or service that’s going to be deployed and used in production. Sounds like a perfect balance. Ubuntu is one of the most popular Linux distro for servers, and most people use it as their main distro with their Cloud hosting. Some of the companies that love Ubuntu and that are offering their products or services on Ubuntu as a first choice are: Nvidia, Google, Dell, STMicroelectronics etc. Most companies that sell Linux laptops offer Ubuntu as the first choice for a pre-installed distro. Nvidia is offering the CUDA toolkit natively on Ubuntu as a first choice. Only the LTS releases are officially tested and supported, thus Ubuntu is the best fit if you rely on CUDA for your project. But it is not exclusive. The CUDA toolkit is available on non-LTS releases and many other Linux-based distributions, but without support or guarantees that things will behave as expected. Google is the company behind Android. They offer developing Android applications on Windows, Mac OS, and Linux-based distributions. Ubuntu is their first choice. Android Studio (IDE) and all other tools are tested on LTS releases of Ubuntu before distribution to end users. STMicroelectronics is a company producing ARM-based CPUs for embedded devices. Developing software for their CPUs is possible on Windows, Mac OS and Linux-based distributions. They support Open STM 32 for developing a free and cross-platform IDE, System WorkBench. Again, LTS releases of Ubuntu is their first choice for a Linux Distribution. Dell is known for their laptops, ultra-books, PCs and monitors. Their products are mostly offered with Windows preinstalled and Ubuntu for some of them. The Dell XPS 13 Developer Edition is a small, light, fast, and beautiful, and runs an Ubuntu LTS release by default. There are more companies that offer and use Ubuntu, but this should give you an idea of how software and development companies incorporate Ubuntu. Arch Linux is just the opposite of Ubuntu. It is a rolling release Linux Distribution. There are constantly new updates. Every hour or two something new arrives in your system. It is a perfect working environment for some. As we mentioned earlier this type of software distribution is best suitable for developers working on software that is highly coupled with some or many dependencies. They will receive an updated version of their dependencies with almost no delay. But this comes at a price for sure. The instability of the system offers no guarantees for the origins of the new bugs. Also, Arch Linux is hard to install. An advanced user can do it in no more than 15 minutes, but it is almost impossible for a newcomer to succeed. It requires a lot of knowledge because there is nothing preconfigured, there is no default, everything is custom instead. A pure mechanism for distributing software and nothing more, it is up to the user to install and configure things according to their personal requirements. This is why many people use Arch Linux as a lightweight Linux distro, by installing a lightweight window manager/desktop environment, and only the essential software. As you can already see Arch Linux provides a perfectly configured environment for every developer that knows how to utilize it. Every Arch Linux is unique thus each of them encounters unique obstacles. This is what makes it special and loved among programmers. Just by using it on daily basis you grow. There is a giant and thorough wiki page. It’s one of the best wikis you can find with very detailed and strict explanations and guides for configuring stuff and encouraging the use of what is said to be good practice. Its necessity can be seen just when you try to install it (as we mentioned earlier, it is hard if not following the wiki the first time). Reading documentation may seem like wasting time but it is an essential skill for every programmer. Just by reading good documentation developers also learn how to write good documentation. Tinkering here and there with the operating system itself will teach you how one works so you can build your own later. It’s an important skill to have, especially if you end up working with embedded devices in your career. Every day you can read about some unexpected issues on the forum and very clever workarounds for each of them. Just being aware of what might go wrong makes a developer produce code with better quality if paying attention. The best thing about Arch Linux is its huge repository of available software. Personally, I can’t think of something that I need that is unavailable. Although the software is there, because of the very different configurations among users, the quality of provided software can be lower than expected. It is not unusual if users need to get their hands dirty doing some minor manual intervention. It’s brilliant for improving skills but some can struggle with the maintenance at the beginning. It’s worth to be mentioned that there are no devices that come with Arch Linux preinstalled. It is painful to do so since until the device reaches the customer, the software is out of date and performing one giant update is very likely to break the system (while constant minor updates don’t). Even if some vendors do, advanced users will find it uncomfortable and will change it anyway. 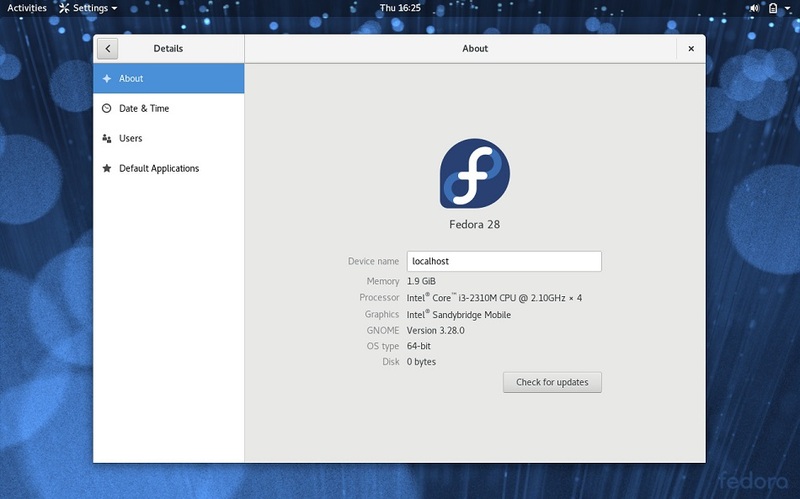 Fedora is another popular Linux Distribution among programmers. It is just in the middle between Ubuntu and Arch Linux. It is more stable than Arch Linux, but it is rolling faster than what Ubuntu does. There is one major release every 6 months supported for 13 months. Basically, 13 months of a stable environment is just fine. Also, 6 months of delay between the next big update is fine too. No software is growing so fast so it is good even for those who want to experience and work with the latest stuff in a stable environment while still doing their integration job without issues. Excellent balance as Ubuntu does but with a smaller amount of home users. In terms of software availability, there is no such broader range as in Ubuntu or Arch Linux. If you are looking for proprietary software the situation is even worse. There isn’t any official support for it. But if you are working with open source software instead Fedora is excellent. The people behind Fedora embrace free and open software and do the best for it but it is a big no go for any proprietary stuff. You can’t find Java, DVD codecs, Flash Player etc. Of course, all those are available in some private repositories with weaker license policies but they are not officially supported so no guarantees for any incompatibilities or misbehavior. It is a big issue if you are working on a project that costs money or that is expected to have a big impact because you don’t want to rely on unreliable sources. You want support instead. On Ubuntu for example, companies do offer support for their proprietary software. 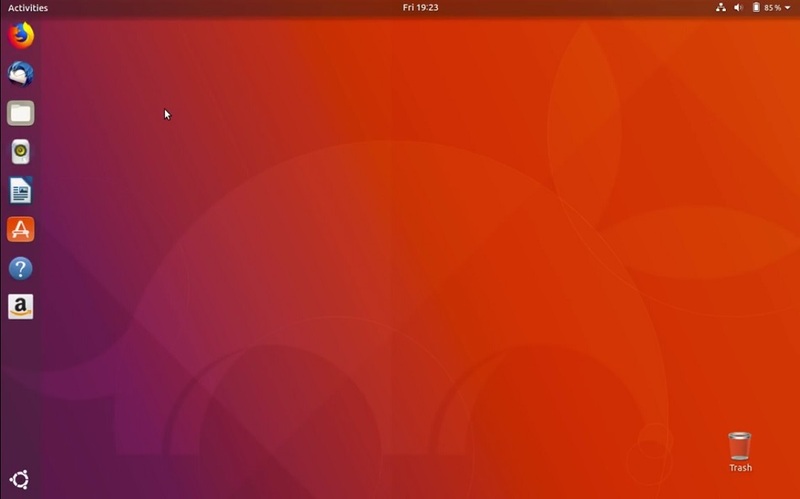 There are several Fedora “Spins”, which are similar to Ubuntu flavors. It’s basically Fedora with software pre-installed for a specific purpose, but the main difference is the desktop environment. We featured the Games Spin of Fedora in our Best Linux Gaming Distros list. Do not forget that the Fedora project is founded by Red Hat Linux distribution which is targeting the enterprise sector and offer paid support for it. Fedora is like a playground but a good one. At some point, the Fedora release will become a Red Hat release. Everybody has some benefits. Big companies receive a rock solid and stable system with years-long support (from Red Hat) while casual users receive a big amount of free software and a stable environment that is more recent than Ubuntu (from Fedora). Just like Arch Linux, there are no devices with Fedora preinstalled because of very short time between major releases. In 6 months there is no time for manufacturers to produce and sell the device. There are hundreds of Linux distros out there, each more different than the other. Though the 3 distros we mentioned are great for developers, you may find a better fit in a different distro. For example, if you’re developing an application that’s supposed to run on a server, you may need to use a server distro like Ubuntu or CentOS. So do your research and you may find a better one for you. Out of the box, no distro comes with IDEs and toolkits pre-installed, neither Windows nor Mac OS do, so developers have to install them manually. Only a simple text editor like gedit or nano (command line text editor) can be found preinstalled. Some popular IDEs are: Eclipse, QT Creator, NetBeans etc. but many developers dislike IDEs in general and use simpler text editors like Sublime, Atom or Vim instead. Eclipse is the most commonly used IDE. It supports multiple programming languages like C, C++, Java etc. Its basic features can be extended by various plugins. This allows a company to develop a complete IDE for their product just by writing a small plugin and relying on Eclipse for everything else. Until 2016, Eclipse was actively supported by Google as the recommended IDE for Android applications development. Later Google migrated to InteliJ IDE and abandoned Eclipse, but users continued developing plugins like gradile-android-eclipse and still providing easy to use Android IDE based on Eclipse. Eclipse is the recommended IDE for CUDA development on Linux-based operating systems (Visual Studio for Windows). Nvidia is distributing a slightly customized version of Eclipse called Eclipse Nsight. For them, It is much easier to provide an IDE by reusing components, but also it is even easier for developers when they don’t have to endure the hassle of building custom toolchains even for simple “Hello World” examples. System Workbench is an IDE for programming ARM-based CPUs. This IDE is free and built by the community but also supported and recommended by STMicroelectronic, a company that produces ARM-based CPUs. The IDE can be downloaded standalone, or by adding a plugin on top of existing Eclipse installation. The latest stable version of Eclipse is 4.7, named Oxygen. As Arch Linux tends to have the latest of everything, version 4.7 is available in the repositories. On Ubuntu 16.04, which is latest stable release at the moment. version 3.18 of Eclipse is available while Fedora offers version 4.7 just like Arch Linux. QT Creator is another very popular IDE. It is developed by the QT Company as an IDE for the QT framework. Although targeting a single C++ framework, because the nature of the language it is commonly used for developing non-QT applications with plain C or C++. It cannot be extended like Eclipse but it is much faster because it is written in C++. 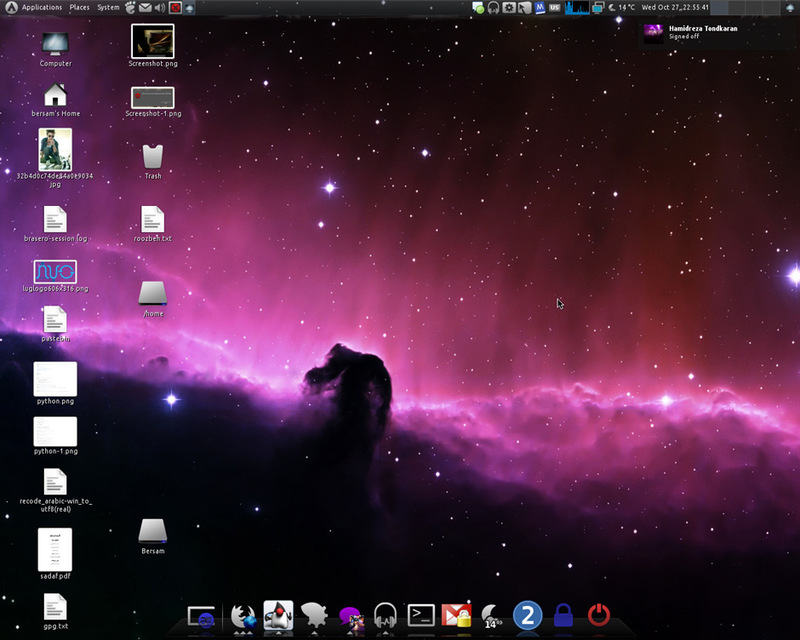 Also, it provides better theming options than Eclipse that blends well with the native desktop environment. On Arch Linux users can obtain the very latest version 4.6 but on Ubuntu, we are stuck with version 3.5 while on Fedora it’s version 4.5. Netbeans is an IDE for developing in C, C++, Java, PHP, Node JS, Angular JS etc. It is most popular among PHP developers and Web developers. Also, some tend to use it for Android application development with the NBAndroid plugin. There are many other plugins that enable a better integration with various technologies like WordPress, Ruby, Ruby on rails etc. Much like Eclipse. The latest stable version of Netbeans is 8.2 and the same is available in the Arch Linux repositories. Ubuntu users can obtain version 8.1 while Fedora users must do a manual installation by downloading Netbeans from the website and eventually manually resolving conflicts and dependency issues if any. Just a warning than officially supported software is always of a better quality. Sublime is one of the most famous text editors available. Sublime is mature, supports extensions and has autocomplete and code highlight for almost any kind of programming. Even though it is just a text editor, its extensions can easily add every feature that is expected from a modern IDE. Those are the main selling points. Once you get familiar with it, you are going to use it for everything. Ubuntu doesn’t ship Sublime in their repositories, but Sublime developers offer a packaged version in their private repository, just follow the instructions and obtain the very latest version available from their website. Arch Linux also doesn’t distribute it in the official repositories but it is available from the AUR (packaged from users, also unofficially). Fedora requires manual installation too, see their website for instructions. Atom text editor is an alternative to Sublime. It is free as in freedom and it is based on Electron. Although it has the very same features set and capabilities it tends to be heavier than Sublime so some developers are simply rejecting it. As with Sublime, Atom on Ubuntu and Fedora can be installed manually by following instructions on the website while on Arch Linux they distribute version 1.25. Developers who are doing most of the work in a terminal use the Vim text editor, especially on servers. It is a free and extensible command line text editor. It is an improved version of the older Vi text editor. One can use Vim for developing in any programming language or toolkit. Vim is the most customizable of them all by adding additional plugins. It is the most keyboard-friendly text editor available too. Some developers find using the mouse hurting their shoulders and muscles thus being able to do anything with only a keyboard is like being blessed. Vim behaves like a person. Stand-alone is nothing, but plugins make It evolve to anything. Many actions are just like having a conversation with the editor. For example, to delete next three words after the cursor you just type “d3w” (Delete 3 words) and done, or to move the cursor 4 rows down type “4j” and done. There are many many more similar shortcuts that allow developers to do things faster and easier compared to other text editors or IDEs. Both Arch Linux and Fedora distribute version 8.0 of Vim, while Ubuntu version 7.6. Beside IDEs and text editors, Linux-based operating systems are popular because of the Shell. Ba Shell, known as bash, is most commonly found preinstalled on every major Linux distribution but it’s not the only one available. There are zsh, tcsh, ksh etc. They all do the same job but with minor differences that are not part of this introduction. The thing about shells is that they are an environment for interaction with the system. Often shells are used for automating things. Some tasks through the development lifecycle are repetitive and require time synchronization in terms of executing the next task when the previous is done. Very common in embedded development like build kernel, then waiting until it is done to start building the image, then again waiting to start the transferring the image to the device, and waiting one more time until transfer complete to boot finally boot the device. The point is that no one wants to sit in front of the PC or sever waiting for a job to finish then manually executing the next one. It is nicer for developers if they can just write the code and let someone or something else to manage task execution in the right order. It’s about not hurting your eyes while paying attention to the execution status. A simple five-line shell script can automate all of this. In addition, the shell can even send a notification to your smartphone when all the jobs are done or if there is a crash. Another use case when the shell is important is automating the crashes. Knowing that each build generates text output and that the output can be redirected to shell script we can automate the crash handling process. Thus, if compiling fails due to a missing header, a shell script can search the file system to find the location of the header and check if that location is included in our build. If not, then alter the content of a single file and add the path to the header. Now the shell script can simply inform the developer of the crash, what actions were taken if any and retry to compile. This is handy for long-lasting projects. Nevertheless, developing on Windows requires installing more additional software. For example, for Android development, device drivers are required. Sometimes drivers might crash or cannot be installed or don’t work on recent versions of Windows (if it is an older device). But a good programmer must have many devices around and test the program on each one of them. This can complicate the setup of the working environment quite a bit. On Linux distros, this is a very smooth process. All the drivers are already present in the Linux kernel (with just a few exceptions) so no additional installation is required beside the IDE. Just plug in a device and you are ready to go. As smooth as that. Another use case is when developers have to obtain support for multiple products at the same time. This is fine until two products enforce the existence of software that cannot coexist. For example, version 3.1 of a given program and version 4.2 of the same program but for the other project. On Windows, installing a newer version often requires deleting the older version. Even if the older version is not automatically deleted, environmental variables are being automatically modified so pooling wrong dependencies or pooling a dependency twice might occur. On Linux distros, this can be resolved quite easily. Just extract one version in one folder, extract another version in another folder and you are halfway done. Second part is either change the global environment variable to point to only one path, or alter the content of the variable but with a tighter scope. Thus, the same variable will have a different property for different compilations. Isn’t this great? Not just resolving the coexistence problem, in addition, a developer can even run two compiles at the same time without issues. In general, Linux-based operating systems offer a more than excellent environment for developers. It just takes some time to learn the cool stuff. No matter which distribution you choose you won’t regret doing it. Just pay attention to the method of software distribution. Choose what suits you best and the projects you are working on. If not sure, just choose Ubuntu, overall it is the best-balanced Linux distribution. … This is important if you are working on a product that must be running 24/7 and must be error-FREE. NixOS ? Too esoteric ? Too functional ? Too simple ? How about Gentoo? Maybe Calculate Linux or Sabayon? When describing Fedora it is true that it does not ship with repos for closed source software, but it is worth noting that RPMFusion is a 3rd party repo for Fedora that is even supported by Fedora admins and devs. It is not only a simple matter to add the repo, it is very safe and conscious of existing packages on official repos, they work hard to ensure there is no overlap and that they work with versions of libs and software already installed. Through RPMFusion you can get all of the extras you mentioned and more via dnf/software (the built-in package manager and package manger front-end). 1- not stable, I tested for 8 months and yes it won’t break down as an OS, but in services and some softwares yes and then it became like an empty shell with stable GUI. Debian is very far better than Ubuntu now. 2- bad gnome store, most I hated in gnome is its store, still buggy. Debian, before you go intall it, remember you will work directly with root, and it take too much command lines to custom your desktop, if you are fine with that go ahead but no try other distro. note: don’t upgrade Debian, once I tried with 8 to 9 it crashed and failed, Debian’s users suggested to me don’t upgrade. if you are a normal user, try Linux mint first. Arch linux, is best distro to who love linux too much and work with command so deeply, for it isn’t hard but I had to take care some commands and learnt new commands. if you doesn’t in this , try Manjaro . for me, still Debian, Fedora, Manjaro, Centos and Arch linux are the best choice. Be honest windows 10 more smooth against some linux distro. Even if macOS seems better than the both but it isn’t the best OS in the end, why? Don’t forget windows has more services and more supported except in swift PL macOS is better, don’t think work on Command line only is better – yes for pro it is, but – not all situations command lines is better, you need some times to speed up your works or more services that does’nt exist on linux, or more.. start buisness. Once we talk about about Android studio, I loved hardly, because Windows suppoeted more, in linux you need a missing packages for graphic and design that Does not find else in windows – I am not talking about playing games – programming games and design that only better on windows then mac. In short, I see windows 10 and linux (Fedora, Centos, Manjaro and Arch linux) are the best combinations.